Hello! I'm a forty something married mother of four precocious boys and two betta fish that the boys swore they'd take care of themselves. I fell in love with Twilight in early 2010 after everyone and their mother, including my mother, insisted that I read the series. After about 3 days of straight reading, I completed the series and then decided to re-read the series over and over again. My cousin told me to look for Midnight Sun online. Instead of finding it, I ran into this website and, subsequently, began my love for all things Jasper. Obviously, I'm a non canon girl. My favorite pairings are Paul/Bella, Emmett/Bella, Caius/Bella, Quil/Bella, Jasper/Bella, Peter/Bella, and Embry/Bella--in that order. That being said, I am not averse to reading great Edward/Bella stories and there are some really wonderful stories out there. PM me if you have comments, questions, or just want to say "hello." I'd love to hear from you. A very public, cathartic moment leads Bella Swan to realize that Edward Cullen is not quite prince charming. Her newfound self-awareness leads to stronger friendships and new adventures, but will her past relationship with a vampire threaten her new, happier life? When Bella Swan abruptly breaks up with Edward for suppressing her ability to make choices, it forces Emmett to take a good, hard look at his life within the conformist household of the Cullens. Is he happy with his life? Or does his destiny lie elsewhere? What choice will he make. What happens when a lonely and betrayed vampire meets his mate at Walmart? He claims her, of course. Join Peter and Bella as they band together with their ragtag team of friends to creatively exact revenge on those who did them wrong. Peter x Bella pairing. Bella and Jasper feel trapped in their marriages and stifled living with the Cullens. When a mysterious note is sent to them urging them to go, do they take the bait and leave? Of course they do. Join Bella and Jasper as they go on an excellent adventure and perhaps discover a few surprises along the way. What happens when a freak twister sends Bella, Jake, and Paul back in time? Come and join our three favorite friends on a rip-roaring adventure in the past. A special thank you to Mist for the awesome banner and the beta job. Originally published by mama4dukes on December 12, 2015 on Tricky Raven. What happens if imprinting is not as perfect as it seems? What happens when an imprint does the unthinkable and breaks what was supposed to be infallible? Join Quil and Bella as they journey to uncover the truth about imprinting and the wolf pack. Disclaimer: All publicly recognizable characters, settings, etc. are the property of their respective owners. The original characters and plot are the property of the author. The author is in no way associated with the owners, creators, or producers of any media franchise. No copyright infringement is intended. 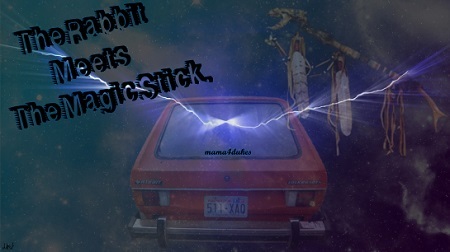 Note: This story was originally posted by mama4dukes as a one shot on 12/17/11 on JBNP. It was also posted by mama4dukes on 4/16/2013 on Tricky Raven. I have been adding to it and is now a full fledged multi-chapter fic. For now, I will post the original one shot with the intention of posting the story after I have completed it in entirety. Seven years after leaving Forks and La Push behind, Bella Swan is abruptly thrust back into the supernatural world. Guess who comes to save the day? All characters belong to Stephenie Meyer. No copyright infringement intended. Mature readers 18 + only please. Sam Uley has been living a quiet, secluded, somewhat boring life as a mail carrier in Forks. All that changes when he is forced to attend Charlie Swan's wedding with his entire crazy pack. Read on to see how the alpha's life does a complete 180. Love can be found in the most unusual places—a zombie apocalypse certainly counts as one. Join Caius Volturi as he conquers zombies and falls in love with the gun-wielding girl of his dreams. It's wonderful that Seth Clearwater has finally found his imprint. Now, he just has to convince her to stay put in La Push long enough so he can tell her. Fortunately, he has help from a most unlikely source. People can't eat people alive, and frozen men don't exist. Bella's secret knowledge of vampires is inadvertently brought to surface when she & her friends are all thrown in the path of fate. Can people start anew after being abandoned by those who supposedly loved them? 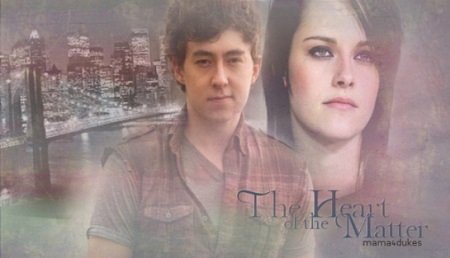 Bella and Jasper build new lives for themselves after being torn asunder by Edward and Alice? But what happens when they run into each other? Will they give love a chance? After Bella saves Leah from the clutches of Victoria, Paul inadvertently imprints on Bella. Not wanting to stand in their way, Bella steps aside for the sake of their love. Did she make the right decision for herself and for Paul though? Banner by the awesome LunarEclipse1. Summary: Halloween night? A full moon? With Billy Black volunteering his babysitting services, what could possibly happen? Find out in A Fanging Howl-O-Ween to Remember. Five years following the events in New Moon, the Cullens are living in New Hampshire and Edward is finally getting married. During a wild night out on the town, some of the Cullens run into a happy, more confident Bella. Immediately following the battle with Victoria's newborns, Bella learns that the Cullens were using her in a most malicious way. With the Volturi wanting her to be dead or changed, time is ticking for poor Bella. Will someone get her the hell out of Dodge? Banner by the talented RachelxMichelle. Crazy happenings are afoot in the vampire world. Bella breaks up with Edward and everyone around her starts going nuts. Read about the craziness surrounding Bella and how she finally finds her mate.